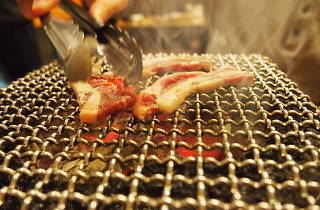 This small yakiniku joint is tucked away in an alley just off Meiji-dori, a ten-minute walk or so from Shibuya Station. 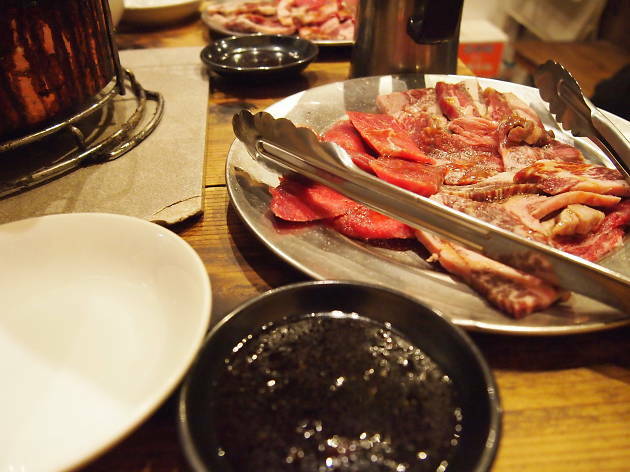 What sets it apart – besides having rather scrumptious cuts of cow for you to grill – is that they offer halal courses, with the menu having been certified by the Malaysia Halal Corporation. Prix fixe meals come in three price tiers (¥3,000, ¥3,500, ¥4,000), with all featuring multiple cuts of meat, a side salad, rice and a drink. The ¥4,000 set is probably the best option, as it features three types of their signature beef cuts, but if you insist on having chicken, the cheaper options are just fine too. If you're a large eater, you might want to order an extra round (check with staff for options), but the portions are just about right if you pace yourself. Gyumon has also started offering halal lunch sets: beef bowls for ¥1,000 and grill-it-yourself deals from ¥2,000, the latter of which are almost exactly the same as the dinner options, except cheaper. The Tokyo restaurant rule holds true here: for (even more) bang for your buck, go for lunch. 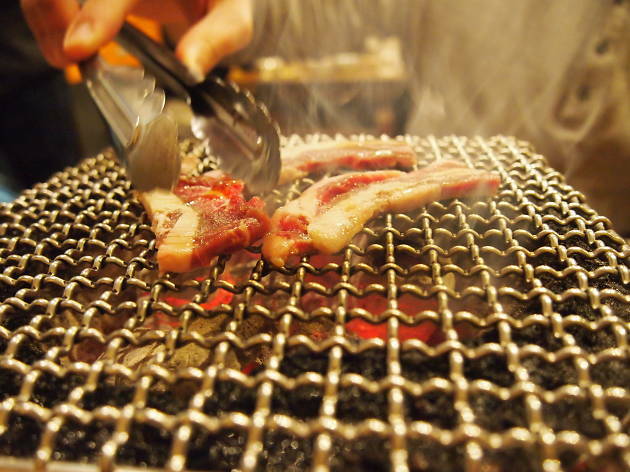 Out of all the halal restaurants currently found in Tokyo, we'd argue this is the most 'authentically Japanese' experience – smoky, intimate and slightly rowdy at times, just like all the best yakiniku places are. It's popular with locals and tourists alike, so be sure to reserve in advance (by phone) if you want to be guaranteed a seat. Note that alcohol is served on request to non-Muslim customers.